An invitational tournament consisting of six club teams from the globe, run by Emirates Cricket and sanctioned by the ICC. Format is two groups of 3, play each other once (2 games) and group winners advance to the final. Boost Defenders won their 1st game by 35 runs - racking up 205 whilst a spirited Auckland without any international players posted 170 in reply. No live score on cricinfo. Lahore Qalanders eventually won the tournament, did well to defend a 150 total against Titans through virtue of excellent pace bowling at the death. Shaheen Afridi (not related to Boom Boom, but apparently from the same tribe) a stand out performer with his left arm pace. But the one player to really watch for is Haris Rauf, who came through a bowling audition barely over 12 months ago and is clocked at bowling 150kph. Yorkshire won their consolation game against a Hobart Hurricanes select XI, chasing 140 for the loss of 1 wicket and with 6 overs to spare. The Hobart side had Johan Botha, Ben Duckett and Jordan Clark to bolster the ranks. Batsman Charlie Wakim stood out for the Hurricanes, only a matter of time before he makes his Big Bash debut. 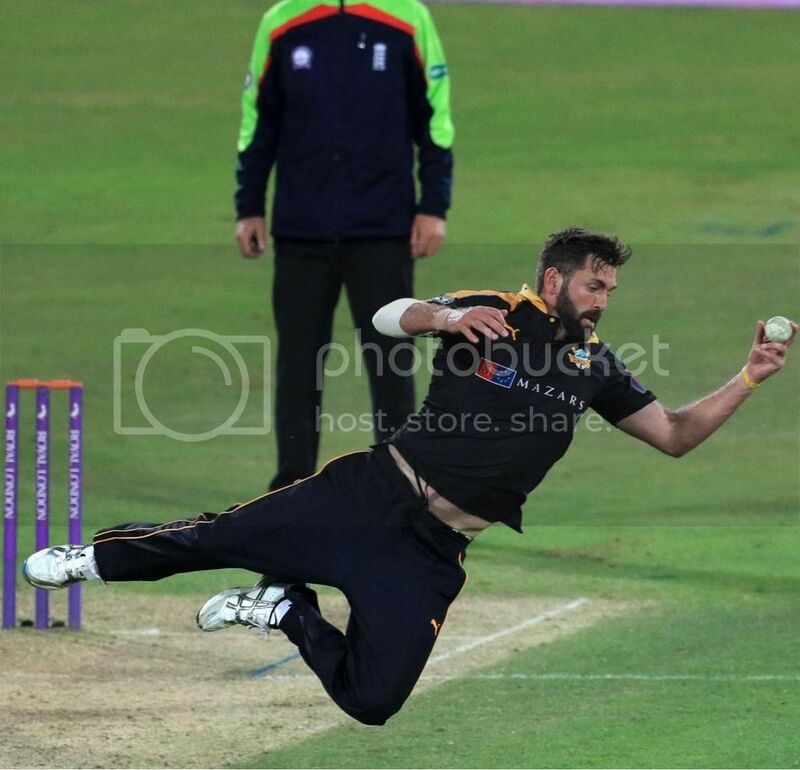 Titans didn't have a chance, really, although Lahore themselves were underwhelming with the bat and progressing to a well below par total until Phil Salt spanked a rapid fire 27 at the end, to lift them to 148. Nick Knight loves to tell a good story, especially about Azeem Rafiq's cricketing comeback. Whenever Haris Rauf makes his debut for Pakistan (hopefully the World Cup), Nick Knight must be in the commentator to tell Rauf's remarkable story. The Abu Dhabi t20 has potential to become a leading tournament. Quick fire in nature, the middle-eastern timezone means a match is shown during waking hours worldwide and scheduled when all test nations are active on the domestic scene. Though dead rubbers can be eliminated where the loser of Game 1 plays the 3rd team in Game 2. It was interesting to see a domestic based Auckland Aces side fare against more established players in Boost Defenders. Even though where was a noticeable difference in quality between both sides, the Burger King Super Smash has gained global exposure where it's televised matches are not shown outside of New Zealand. The standard of Super Smash cricket is probably what the Blast was around 2008/9, but it's the only tournament that gets paying crowds in. Plunket Shield and even Ford Trophy matches don't attract spectators despite free entry.